The Joint Program Executive Office for Chemical and Biological Defense awarded 70 contracts totaling $495 million last week, according to a BioPrepWatch article. The awards are expected to help the JPEO-CBD lead, manage and direct the acquisition and fielding of chemical, biological, radiological and nuclear defense, drugs and vaccines, medical countermeasures, information management systems, installation and force protection systems. The contracts are part of JPEO-CBDs omnibus program, engineering and technical support services. Medical domain awardees included TASC, SAIC, Noblis, ERP International and Booz Allen Hamilton. SAIC, ERP International, Engility Corp. and CACI are some of the logistics domain awardees. The IT domain awardees included TASC, SAIC, Noblis, ERP International, Engility Corp. and Alion Science and Technologies . E&T domain awardees included Schafer Corporation, SAIC, JRAD, Engility, CACI Technologies and Alion. TASC, SAIC, Millennium Corp., Engility, Deloitte Consulting and BCF Solutions won contracts in the B&A domain. Several contractors secured contracts in the acquisition domain, including UCS, Syneren Technologies, Sentek Global, MLT Systems, Millennium Corp., Markon Solutions, JRAD, ERP International, BMK Consultants, B3 Solutions, AMDEX Corp. and ACT-I. 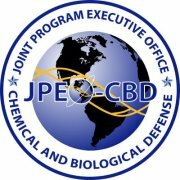 The JPEO-CBD solicitation was originally made on June 20.